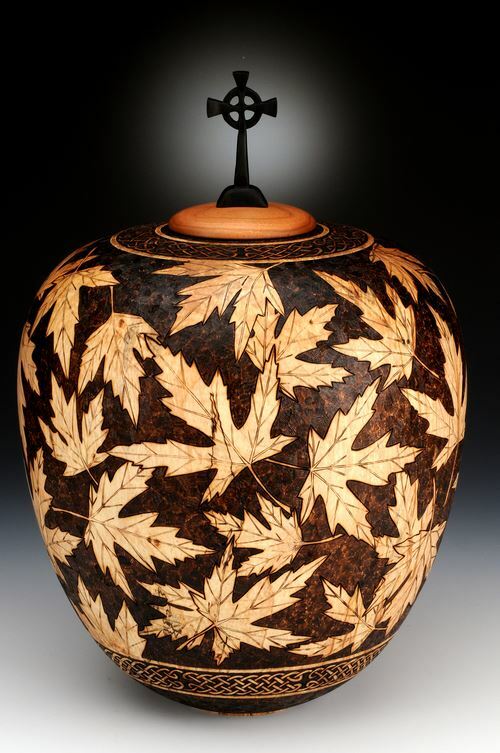 Andi Wolfe, plant evolutionary biologist by day and internationally known turner, carver and pyrographer by night, will be demonstrating at the May club meeting. 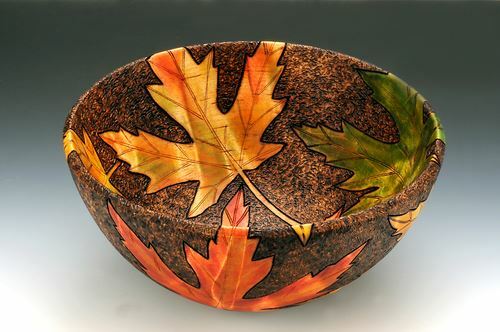 She will demonstrate texturing using both pyrography and carving/scorching, coloring techniques using acrylic paints, and creating a metal patina effect on a textured surface. Her Thursday evening demonstration will be followed by an all-day demonstration on Friday and an all-day, hands-on, limited registration class on Saturday. You can see more of Andi’s work on her website at: www.andiwolfe.com . 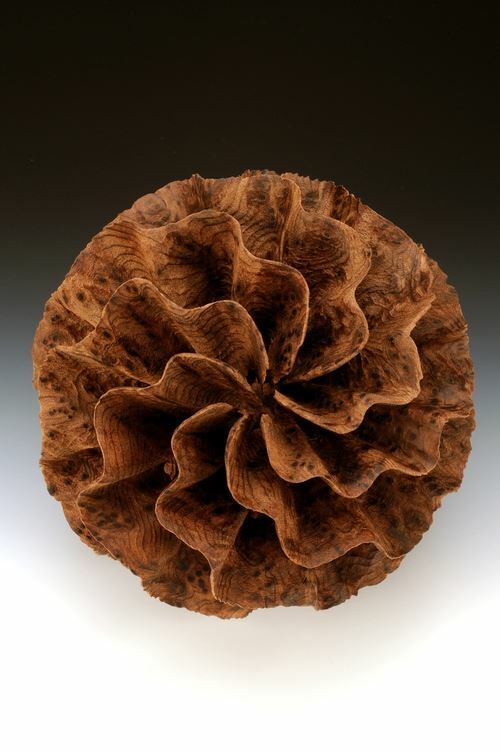 Andi Wolfe, plant evolutionary biologist by day and internationally known turner, carver and pyrographer by night, will be demonstrating the use of color and texture to express organic themes. 21 Mar 2019 Sam Angelo demonstrates at the club meeting. 17 Jan 2019 Dr. Seri Robinson demonstrates in January! 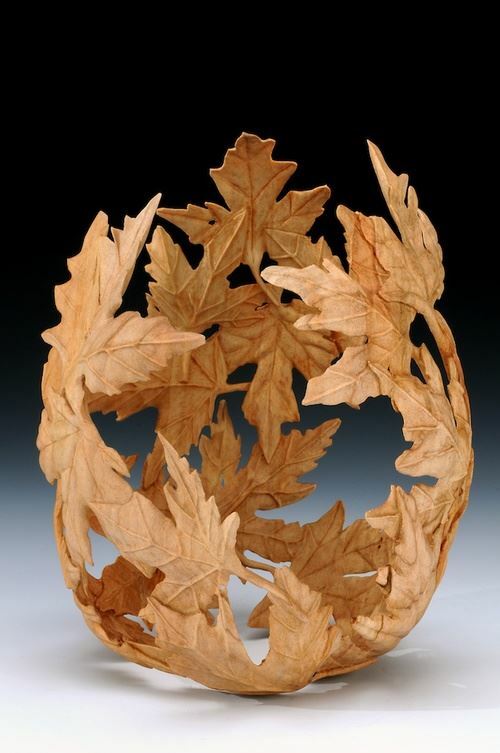 15 Nov 2018 Dave Gutschmidt demonstrates at the November club meeting! 16 Aug 2018 August meeting cancelled! 14 Jun 2018 AAW Symposium in Portland on June 14-17th!! 17 May 2018 Jerry Harris demonstrates at May Meeting! 19 Jan 2017 January Meeting Challenge: What did you turn for the holidays?